❤️❤️❤️❤️❤️❤️❤️❤️Happy Valentines to Us! 💕 20% off your order 💕 ❤️❤️❤️❤️❤️❤️❤️❤️ 💗 Enter “20percentofffavs” at checkout! 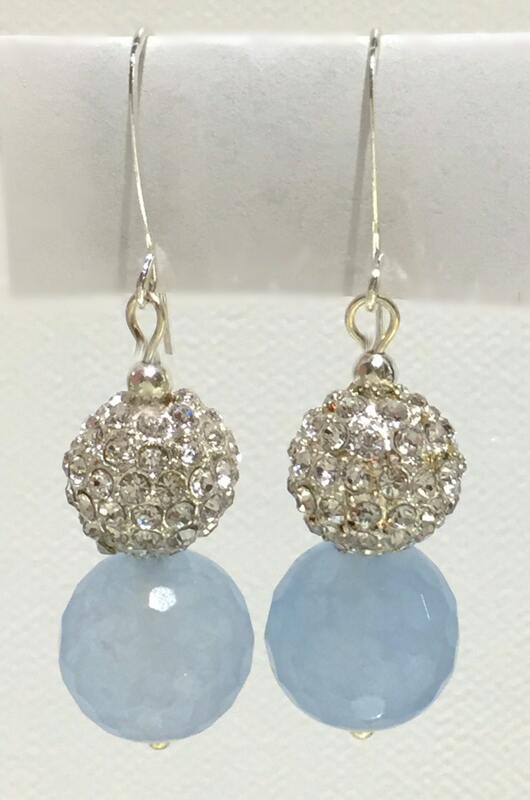 These stunning and beautiful large 12 mm Silver Plated Pave Crystal Earrings with pale Blue faceted Jade Gemstone Beads. Bold yet Subtle. 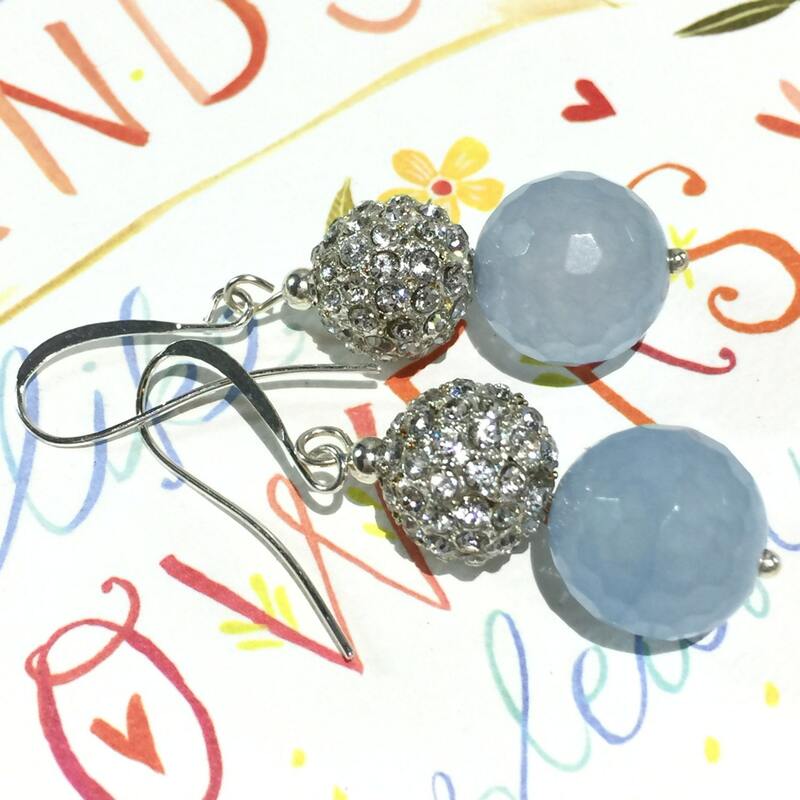 The Bright Sparking Crystals and set in a 12 mm Silver Plated Metal Drop Balls, not the cheap polymer clay. Perfect for any occasion. 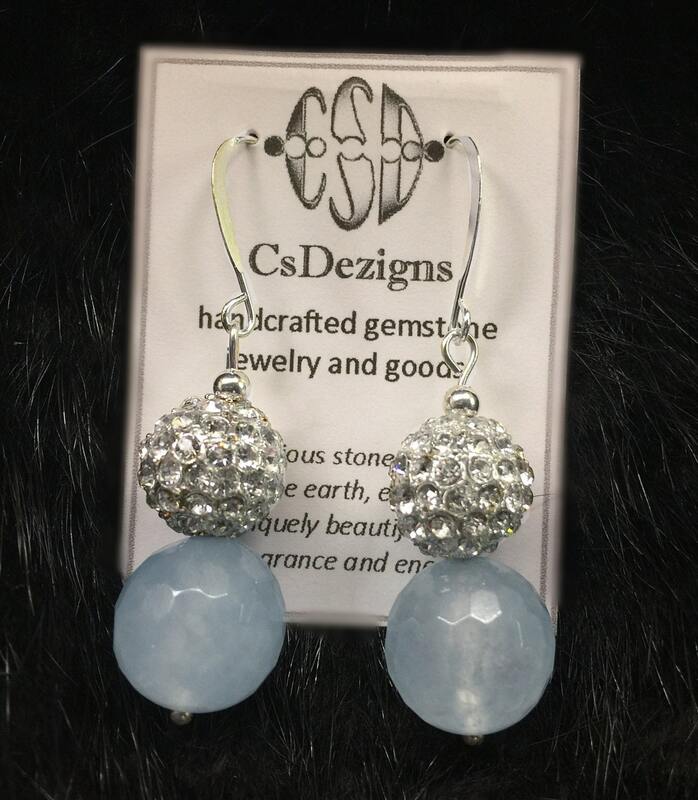 The Silver Plated French Ear Wires are comfortable and look expensive. The price is so affordable, you can buy a pair for yourself and for friends. Please email me with any questions. Ready to gift in a Gift Box with anti-tarnish cotton and a Organza Drawstring Pouch. WINE STOPPER- Wipe with a damp soft cloth. Note: stones are attached with a strong epoxy, they are not drilled. When removing, pull at base of metal stopper. DECOR BOX/TRAYS- Wipe with a soft dry cloth to clean, no cleaners. JEWELRY- To keep items looking their best, Use a soft polishing cloth to bring it back to a shiny luster. Limit exposure to water, perspiration, lotions/perfumes, and chemicals. This can speed up tarnish or damage stones. When dressing, we recommend putting on jewelry last. STRETCH BRACELET- ROLL ON and OFF, don’t stretch them over your hand. Made with sturdy elastic cording. If the cord breaks or over time, stretches too lose.. I will restring once for free. We can customize 99% of all items. Please let me know what you need. We can also re-work any special or sentimental items you may already own, but would like to wear in a different way. 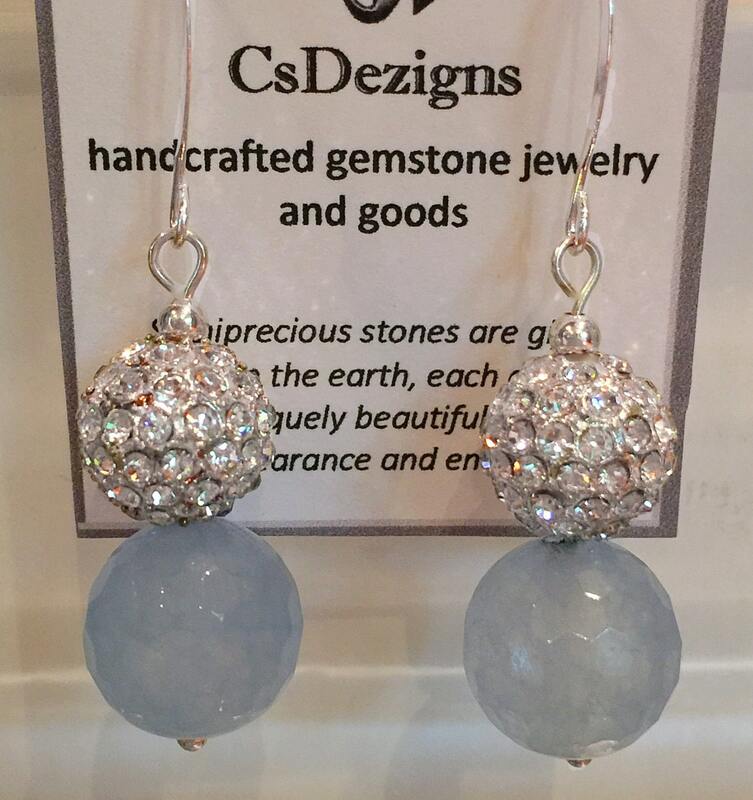 All jewelry items will come packaged with an drawstring pouch placed in a cotton padded, logo gift box, ready to be gifted. 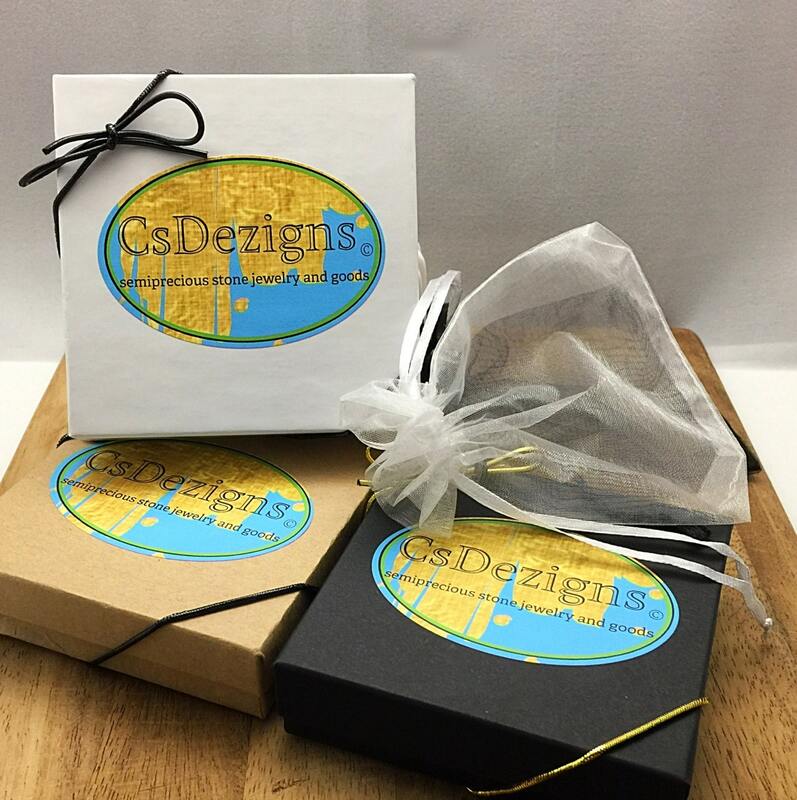 I will be happy to gift wrap and add a personal message on a gift card upon request. Contact me for details and options. Please contact me to discuss your needs. Average woman wrist size is 7 - 7.5"
Average man wrist size is 8 - 8.5"
Unsure? Measure your wrist where you would want the bracelet to sit. This is a personal preference. Then we recommend adding 1/2" to 1" larger.